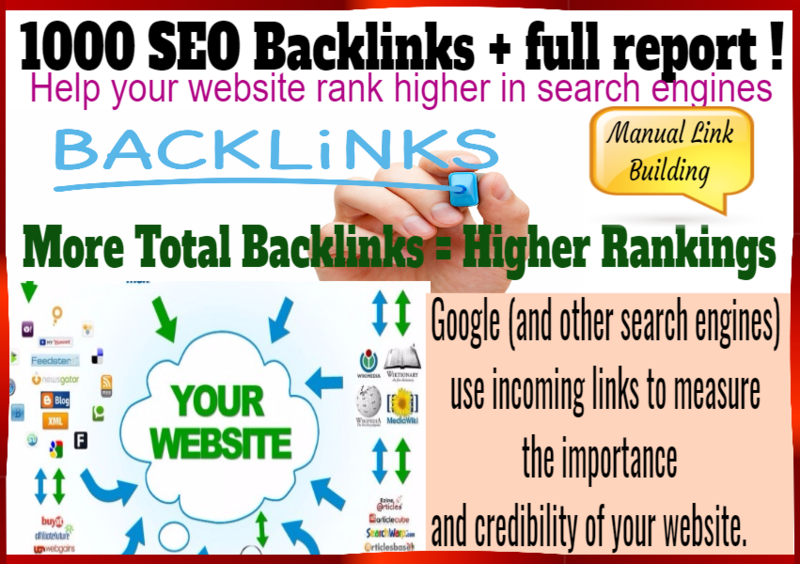 *****Manual Link Building *****Link Building is a simple and easy way to boost your ranking and increase the popularity of your website!This tool is developed for those looking to get their websites indexed at faster pace regularly. 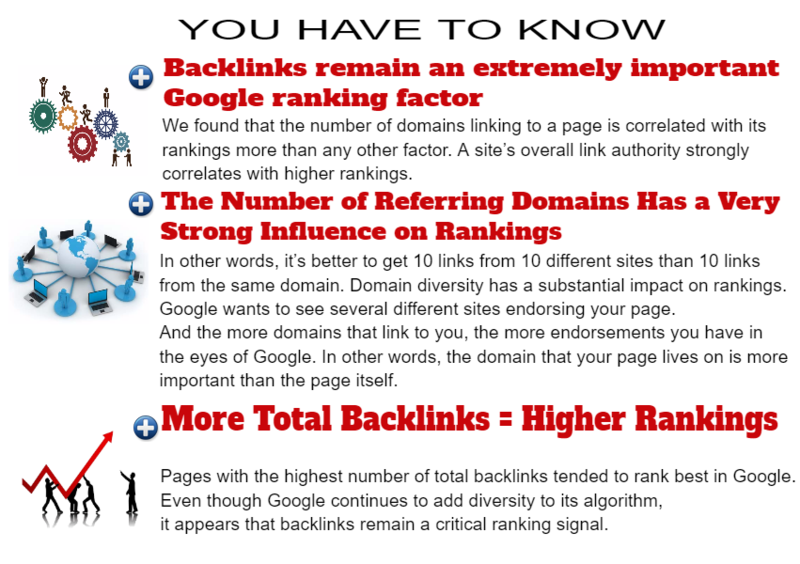 The links we create for you will help your website rank higher in search engines and get attention by major search engines like Google, Yahoo& Bing. Not only your own website, we can even create links for your articles on other websites, blogs and ping them for faster Indexing plus SE Rankings. 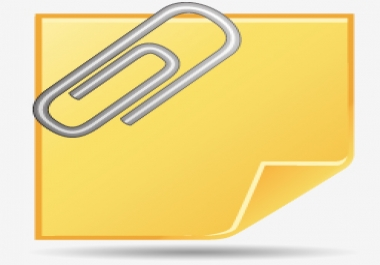 It supports Video backlinking as well.Our tool links back by the search tag technology. It doesn't post anything on the mentioned pages.Those tags are only meant to be visible to search engine (google) spiders that index your entered links and give rank credits to website(s) used.All Backlinks are created at high authority websites like StumbleUpon, Alexa etc which alert all search engine spiders to index the new content, improvements etc on your website at fast pace. 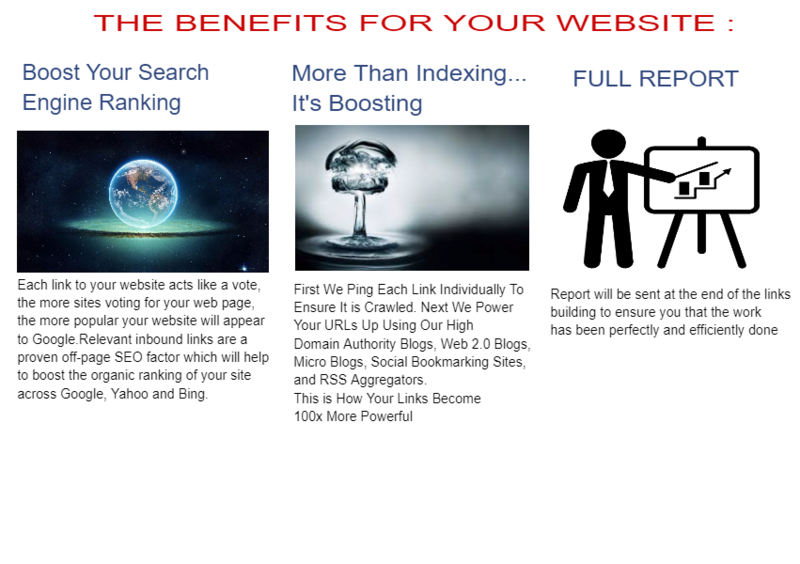 Pinging them adds extra value to the whole campaign and thus your website will get good link juice. it is fully compatible with all google updates.